Click here for some photos from the Lady Captain’s Presentation on our Flickr Page. The Lady Captain’s Day took centre stage on Sunday with 27 holes being played to determine the winner of Tish Perry’s prize. Congratulations to Claire Cryan who emerged victorious on the day and also well done to all the other prizewinners. Full list as follows: 1st Claire Cryan; 2nd Liz Dwyer; Gross Peggy Feely; 3rd Joyce Boles; 18 Nett Regina McLoughlin; Cat 0-20 Joey Mullaney; Cat 21-28 Susan O’Maoney; Cat 29-36 Kathleen Candon; 1st Nine Annette Bartlett; 2nd Nine Sandra McCrann; 3rd Nine Mandy Toolan; Beginner Deirdre O’Reilly. In the Lady Captain’s Prize to Men also played on Sunday, first place went to John McGuinn (9) 40pts, 2nd Paddy Nangle (15) 39pts, Gross Charlie O’Donnell 28pts (gross score) & 3rd Paul Connolly (19) 38pts. The Golfer of the Year Competition is now through round 11. An updated leaderboard will be available on the club’s website. On Friday, the Lady Captain’s Scramble and barbecue took place. The winning team was Brendan Gaffney, Lionel Lynn, Criona O’Donnell. Last Thursday’s gent’s open 12 hole was won by Michael Rush with 28pts. In second was Michael Simon 27 pts, and Terry Canning completed the top three also on 27pts. This upcoming Saturday and Sunday (July 2nd & 3rd) the Fore Club Alliance competition will take place. The alliance comprises of ourselves and three neighbouring 9 hole courses – Ballaghaderreen, Castlerea & Strokestown. We invite all members from the aforementioned clubs to come and play on either of these days. The course is in great condition right now so you’re sure to enjoy your visit! Format is an 18 hole stableford and tee booking is available through the club website. Other competitions scheduled for this week include the men’s open competition on Thursday and Friday evening’s scramble (draw 6.30pm). Commiserations to the Jimmy Bruen team who exited the competition on Saturday in the zone final at the hands of Tubbercurry. Attention now turns to the Jack O’Sullivan team captained by Sean Heslin who commence their campaign on Thursday with an away tie against Ballymote. Well done to Jonathan Egan and Seamus Gallagher who retained their club foursomes title on Wednesday last, comprehensively defeating Willie Tiernan and Michael Gilmartin in the final. A reminder to players involved in round three matches in the King Harmon Cup, the deadline for those matches is Saturday July 2nd. Professional tuition with Peter Duignan returns this Wednesday evening. It is week 4 of the 5 week program for kids. The two time slots are 6-7pm and 8-9pm. Peter will also be conducting ladies and gents group lessons for beginners and improvers from 7-8pm on Wednesday. The cost of the session is €8 and newcomers are always very welcome. It is open to all – you don’t have to be a member. Contact Gary on 0860682116 for more info. Free lessons for junior members continues every Saturday morning from 11am-1pm. Sunday’s Bart Moran Trophy was won by Brendan Gaffney (8) 64 nett, in second was Michael Reid (15) 65 nett, the gross prize went to Jim Mooney (10) with 78 and in third was Paddy Nangle (16) 65 nett. The Niamh Nangle Cup was won by Moira Egan while in second was Tish Perry. Thursday’s men’s 12 Hole stableford competition was won by Michael Simon 26pts, with second and third going to Michael Bannon & Eamon Perry respectively, both one point behind the winner. Friday’s 9 hole Scramble was won by Brendan Gaffney, Tish Perry, John Cryan & Criona O’Donnell with 3 under par. 1st Paul Connolly, Seth Meredith & Michael Gilmartin. Well done to Seth winning in his first scramble! The ladies Australian Spoons on June 7th was won by Tish Perry & Susan O’Mahoney. 1st Sean Heslin, Michael Simon & Shane Loftus 95pts. 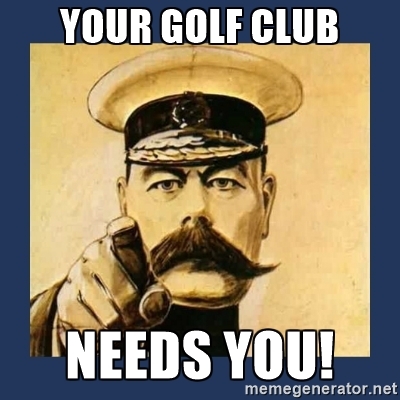 As usual, there will be a 12 Hole S/Ford competition for gents on Thursday. On Friday, the Lady Captain’s Scramble & Barbecue will be held at the club. The draw takes place at 6.30pm with a shotgun start 6.45pm. Entry is €10 which includes Barbecue. Sunday will see Tish Perry host her Lady Captain’s Prize. Online booking available as always. A window from 1pm – 3.40pm is open to gents. Best wishes to Tish for her day. Commiserations to the Mixed foursomes team who lost to Co Sligo 3-2 and the Pierce Purcell team who lost 3.5-1.5 to Enniscrone. In a contrast of fortune, well done to Brendan Gaffney and his Jimmy Bruen team who defeated Ballaghaderreen on a scoreline of 4.5-0.5. They will play Tubbercurry on Saturday at 3pm in the north zone final with 3 matches at home. All support is welcome! Round three matches in the King Harmon are to be played by Saturday July 2nd. In the Club Foursomes Matchplay, Willie Tiernan & Michael Gilmartin take on the defending champions Jonathan Egan & Seamus Gallagher in the final on Wednesday evening. One report to the media officer revealed that both Michael & Seamus appeared to be saving their ‘good golf’ for the final judging by the scores they returned at the weekend! The Get Into Golf with Rory Program for school children is now through week 3 of 5. This week the professional is unable to conduct the sessions, however some adult members will accompany the participants on the course to play a fun scramble event. Professional Pete Duignan will return on June 29th and July 6th to provide the final two sessions of the program. He will also be on hand on these two dates from 7-8pm to give group lessons to adult beginners and improvers. Newcomers to the group are always welcome. The cost is €8 for the one hour time slot. Contact Gary on 0860682116 for further info. Free junior golf lessons for junior members continues every Saturday morning from 11am-1pm. · For Beginners & Improvers. · With PGA Professional Peter Duignan of Co Longford Golf Club. · Own equipment not necessary. · Each Wednesday Evening (Number of weeks TBC but three minimum). · Membership not required, but competitive membership packages are available to participants if they wish to pursue the game further. 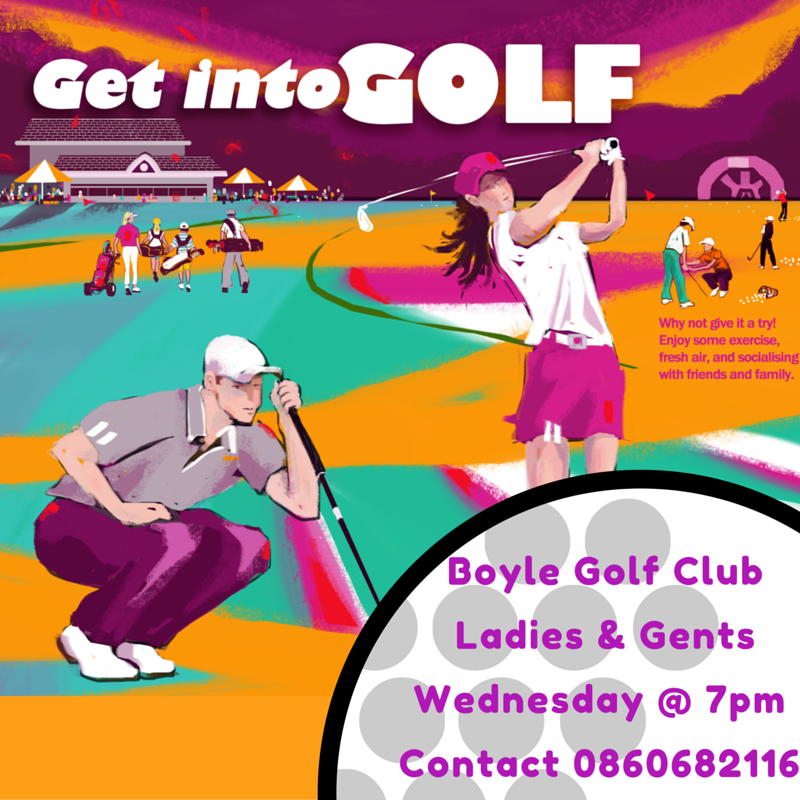 · Junior classes continue each Wednesday at 6 & 8 pm also. · Contact Gary on number provided to book or for more info. There was a large turnout for Brendan Gaffney’s Presidents Prize last Sunday with Tommy King winning his first “Major” with a great score of 91. At the presentation Club President Brendan Gaffney thanked everybody who took part and said it was a great honour to serve as President. He thanked all those who had played or helped in any way to make the day a success and congratulated the winner Tommy King and all the prize-winners. He thanked the Course Committee and the Grounds man Charlie Beirne and Course Convener Willie Tiernan for the great condition of the course and specially thanked Michael Rush for his great work. He thanked Mary for the excellent food, Liz for the flowers, the ladies for preparing the club house, Vincent and the house committee for looking after the bar, and Michael Rush for his help organising the competition. He paid special tribute to Susan for all her help and support and presented her with a bouquet of flowers. He also thanked Jim Mooney and Lionel Lynn for their great work at the club. Brendan extended special congratulations to Gary Carty who brought in a new course record of sixty five, during Sundays Competition. He complimented Gary on his great work promoting Junior Golf and that he was delighted for Gary on this special achievement. The winner Tommy King said he was delighted to win a major and thanked Brendan for organising a great day. He thanked Club Captains Ross and Tish all involved in the running of the club with special mention for all those who look after the course. He thanked his playing partners Michael Bannon and Seth Meredith. Presidents Prize to the Ladies Winner Liz Dwyer thanked Brendan for the beautiful prize and complimented him for his great work at the club. She thanked her playing partners Joyce Boles and Kathleen Candon and congratulated all the prize winners. The full list of winners are as follows…..1st Tommy King, 2nd Gary Carty, 27 Gross Jim Mooney, 3rd Michael GIlmartin, 18 Nett Pat Conroy, Categories 0-13 Martin Wynne, 14-18 Michael Reid, 19-28 Paddy McLoughlin, 1st Nine Cian Smith, 2nd Nine Lionel Lynn, 3rd Nine Willie Tiernan, Past President John Kelly, , Senior, Paddy Nangle. Student Lewis Shaw. Visitor Michael Gaffney Ladies Winners 1st, Liz Dwyer, 2nd Joyce Boles, Gross Tish Perry, 3rdClaire Cryan. There will be a Volunteers Afternoon this Saturday from 3-6pm to prepare the course for Sunday’s President’s Prize. The course will then be closed from 6pm for the rest of the day.